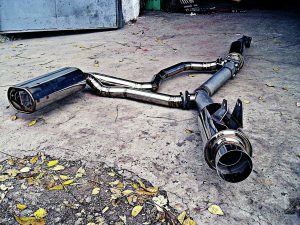 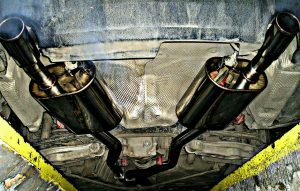 Over the last fifteen years SoaraPerformance have been developing things exhaust, from complete header-to-silencer and all-titanium systems to minor styling cues like exhaust tips and we know that each car we do requires individual approach. 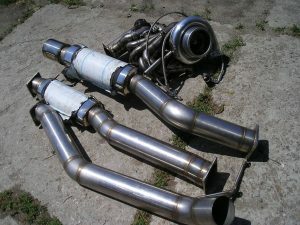 Otherwise there is too much tinkering for our clients to do, who also have their own preferences. 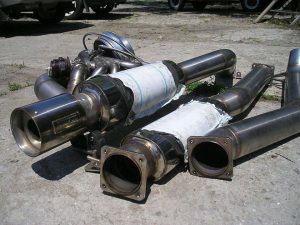 We can also make any kind of resonator or silencer according to your measurements. 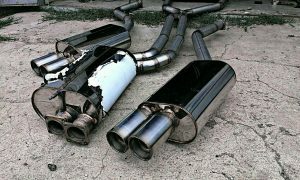 Full exhaust systems are now possible only for physically presented cars. 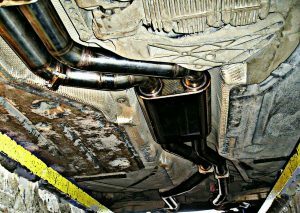 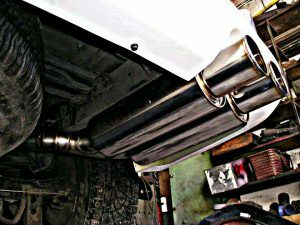 Made from top quality stainless steel, our exhaust solutions are noticeable for they full yet reasonably soft sound. 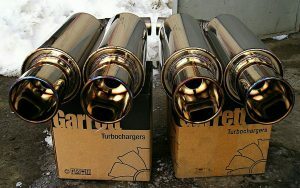 Prices vary from $100 through to $350, depending mainly on the amount of material required.